If you're trying to be conscious about your device's storage space, the Play Store doesn't make it easy. To see an application's total file size, you have to tap on the app's page, tap 'read more' on the description, and scroll all the way to the bottom. That's not incredibly intuitive, but it looks like Google is trying to fix that. 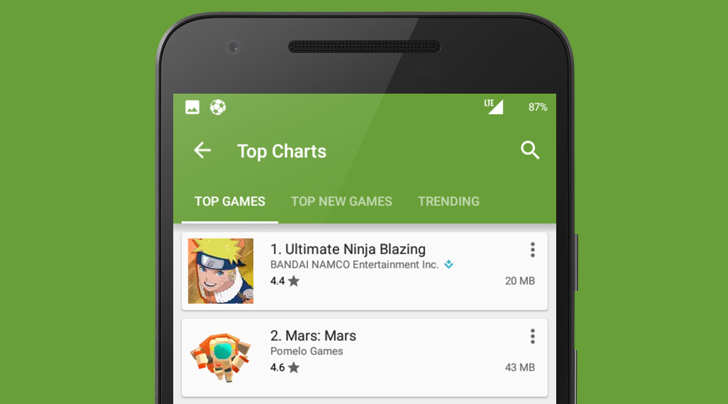 The Google Play Store is testing a server-side change that shows the app file size on almost every screen on the Play Store. The screenshots provided to us show the download size at right side of all application cards at the update screen, My Apps screen, and other locations such as Top Charts. Definitely a small change, but a welcome one nonetheless. This is a server-side change, so there is no way to force it on your device (such as downloading an APK). This may just be a feature Google is testing, and may never be fully rolled out. As the above screenshots did not show, the app cards still show the prices of applications if they are not free, in addition to the new download size. Several commenters have confirmed this. 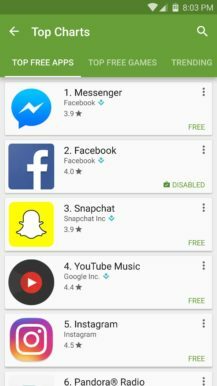 The current Top Charts screen only separate free and paid downloads, lumping normal applications and games together.